Overview: Robert Strizich received his early musical education in both the USA and Switzerland. Over the past several decades, he has composed music for solo instruments, instrumental ensembles, voice(s) with chamber ensemble, orchestra, various electroacoustic media, and solo instruments with interactive digital electronics. Strizich's works have been performed and recorded in the US and Europe, and his compositions and editions have been published on both continents. He has also been the recipient of a number of fellowships, residencies, grants and awards. His most recent compositions explore new instrumental potentials, microtonal structures, aspects of non-linear musical time and the spatialization of sound. Performances: Some new music series and festivals that have presented Strizich's works include: Earplay and Composers Inc. (San Francisco, CA); the Festival of New American Music (California State University, Sacramento, CA); the Santa Cruz Baroque Festival, New Music Works and April in Santa Cruz (Santa Cruz, CA). His ensemble and orchestral works have been played by: Ensemble Treibholz (Zürich), the American Composers' Orchestra (New York City), Música Aperta (Washington, D.C.), the Wesleyan Ensemble of the Americas (Middletown, CT), the Hartt Contemporary Players (Hartford, CT), SONOR (University of California, San Diego), Lux Musica and Ensemble Nova (Santa Cruz, CA). Noted soloists that have performed Strizich’s music include: Carol Plantamura and Randall Wong (voice); Gloria Cheng, Nohema Fernández, Guy Livingston and Betty Woo (piano); Cem Duruöz, Michael Lorimer, Mesut Özgen and George Sakellariou (guitar); Leta Miller (flute); Sabine Evers and Eva Legêne (recorder). Recordings and Published Works: Strizich's works can be heard on CDs and DVDs issued by Musical Heritage Society, hEarZenithMusic, Transatlantic Records, Turquoise Guitar Editions and Wildboar. 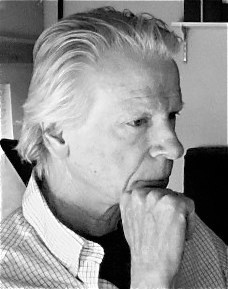 Compositions and editions by Robert Strizich are published by Bèrben Editore (Ancona, Italy), Drake Mabry Publishing (San Diego), Éditions Doberman-Yppan (Québec, Canada), Fallen Leaf Press (Berkeley), Heugel et Cie. (Paris) and Turquoise Guitar Editions (Santa Cruz). Fellowships, Residencies, Grants and Awards: Composition fellow at the Helene Wurlitzer Foundation (Taos, NM); Regents Fellowship from the University of California, San Diego; composer in residence at the New Hampshire Music Festival Composers Conference; grants from the National Endowment for the Arts (NEA), the National Endowment for the Humanities (NEH) and the Hitchcock Modern Poetry Fund (University of California, Santa Cruz); Hertz Memorial Travelling Fellowship, Nicola de Lorenzo Prize in Composition and Eisner Prize for Creative Achievement (University of California, Berkeley); finalist in the League ISCM Composition Contest (New York, 1984). Teaching and Scholarship: Teaching of composition, theory, history and performance at Wellesley College, Trinity College (Hartford), the San Francisco Conservatory of Music, San Francisco State University, California State University Fresno and the University of California Santa Cruz; author of various papers on music theory and performance practice, as well as several important critical editions of early music; visiting scholar at CCRMA (Stanford University, 1996-7); guest lecturer at the Haute École de Musique (Geneva, Switzerland, 2011); Research Associate at the UC Santa Cruz Music Department (2006-present). Education: Ph.D. in composition (University of California, San Diego), including study with Robert Erickson, Jean-Charles François, Will Ogden, Bernard Rands and Roger Reynolds; studies in performance practice at the Basel Musikakademie (Basel, Switzerland); M.A. in composition and B.A. in music (University of California, Berkeley).